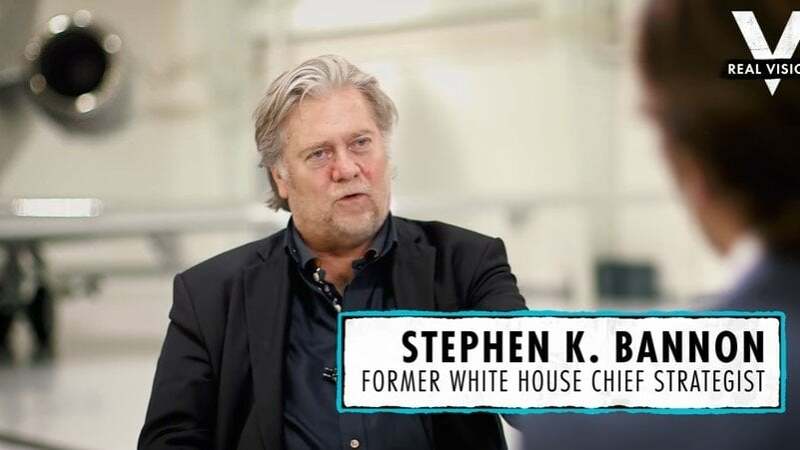 Stephen K. Bannon, former White House Chief Strategist, sits down with hedge fund giant Kyle Bass to discuss America’s current geopolitical landscape regarding China. Bannon and Bass take a deep dive into Chinese infiltration in U.S. institutions, China’s aggressiveness in the South China Sea, and the potential for global conflict in the next few years. Filmed on October 5, 2018 at an undisclosed location. People in the United States have to understand one thing. The Chinese look at us as a tributary state to them and let me explain that China has been around for 4000 years. They've had good runs and they've had bad runs. OK. But one thing they know and the reason they're still organized as a nation over 4000 years right. They know how to handle allies and know how to handle bad guys. OK. Now what they've done is they've got this system called barbarian management and they know how to manage barbarians the way they manage barbarians is they take the leaders of the barbarians and they give them a taste of the good life and you're going to be you're going to be something special you're going to get a special deal. Now what happens back into the tributary state is whatever happens. That's your problem. OK so you were born in the United States. What they have done for 25 and 30 years has played as a barbarian state barbarian management. OK they incentivize our elites and our elites deindustrialized particularly the upper Midwest of this country it's the reason Donald Trump's President Yardy. Sure I understand one thing is important is that you knowJ.D. Vance the great guy from Yale hillbilly elegies is the best sociological study of the Trump voter. And it wasJ.D. Vance who told me says Hey those studies are coming to MIT and Harvard show that there's a direct correlation between the factories the left for China the jobs that left with them and the opioid crisis because this is not about Tenshi logic. It's not about tariffs. What this is about is human dignity and self-worth. Those factories went Wall Street made the money. The corporations benefit from it for lower costs and devil catch the hindmost on the workers. And so this is what Trump is kind of totally reverse now. What China seizes as is were tributary state. We send them natural resources soy beans beef cattle Boeing Airlines and Apple products. OK scuse me. We don't send Boeing Airlines and Apple products. You know why. Because they force Boeing to do a joint venture and they forced Apple to make good products over there. So all week we're Jamestown to their great Britain. OK. That's why the tariffs at the scale that Trump put them up that they can't respond to.